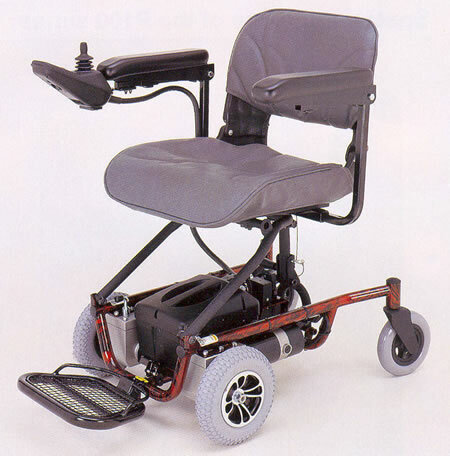 The Merits MP Featherlite - This versatile light weight power chair can be easily disassembled into 3 light weight components for easy storage and transport. 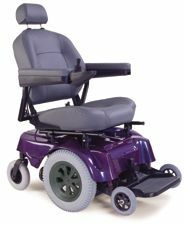 The Featherlite was designed with smaller riders in mind and is an excellent secondary wheelchair to take along on outings to restaurants, doctors visits, the mall and paved surfaces. 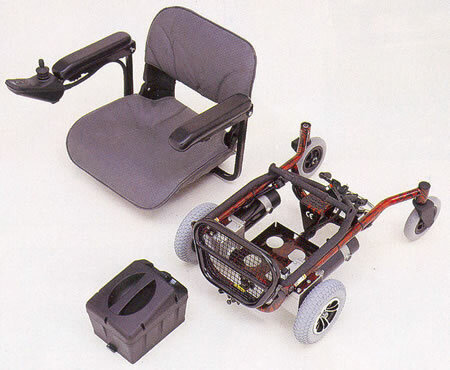 The seat and battery pack are easily removed, leaving only the frame at only 50 lbs. The front wheel drive and 19" turning radius offer superb maneuverability in small spaces. The high strength steel frame and 250 lb. weight capacity make the Featherlite a very versatile chair. Easy to clean footplate design. Flip back adjustable arm rests. Charger 1.5 amp, separate unit.